Have you experienced water loss and need emergency dry out services? EZ Restoration LLC is a locally owned and operated provider of emergency water extraction since 2013. We serve the dry out needs of homeowners and businesses throughout the area. Our staff is on call 24/7 should you experience a flood, burst pipe or washing machine leak. 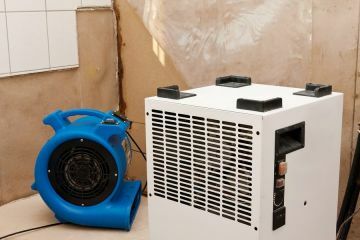 If you have experienced water damage in your home or business, dry out services that are expedient and complete are essential. The longer water sits in your flooring and behind your walls, the higher the risk of bacteria, mold and mildew growth. EZ Restoration LLC understands the importance of speed as we address a water emergency. Why Choose EZ Restoration LLC For Dry Out Services? When you call EZ Restoration LLC after you have experienced water infiltration in your home or place of business, you will be given the prompt, professional service you need and deserve. Our water loss remediation specialists understand that this is a potentially devastating event, and will work hard to ensure that your property and possessions sustain the least damage possible. Our emergency dry out protocol removes water and moisture from your walls and flooring quickly and completely.